Red Light Camera Ticket? - Click Here! A criminal conviction can result in the loss of your freedom, your career, and your future. When you are facing criminal accusations the justice system can seem complicated, oppressive, and downright unfair. That's why it is extremely important to have an aggressive and competent attorney on your side. The Law Office of Scott R. Ball will fight for your rights and ensure that you are not taken advantage by the complex and confusing criminal justice system. If you are facing criminal charges, criminal defense attorney Scott Ball will fight for your legal rights to have the charges completely dismissed, keep you out of jail, keep your license, keep your job, reduce or eliminate fines, and clear your criminal record. 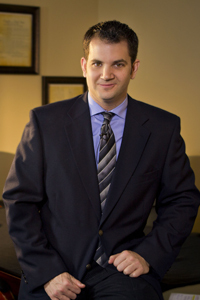 A graduate of USC Law, Scott Ball practices exclusively in the field of criminal defense and works hard to ensure his clients are satisfied with his representation by making sure all rights are understood and questions are answered. Bad Law! Password Protect Your Cell Phone!